Darren McGarry, head of living collections at Edinburgh Zoo, said the sperm used came from a captive panda in a breeding program in China. "Tian Tian had her annual health check on Sunday and was artificially inseminated under expert veterinary care," McGarry said. "We are pleased to say that all went well. It is of course far too early to say anything about the chances of breeding success at this very early stage." On Friday, the zoo let people know on social media that the panda viewing area would be closed for a short period due to "giant panda breeding season". 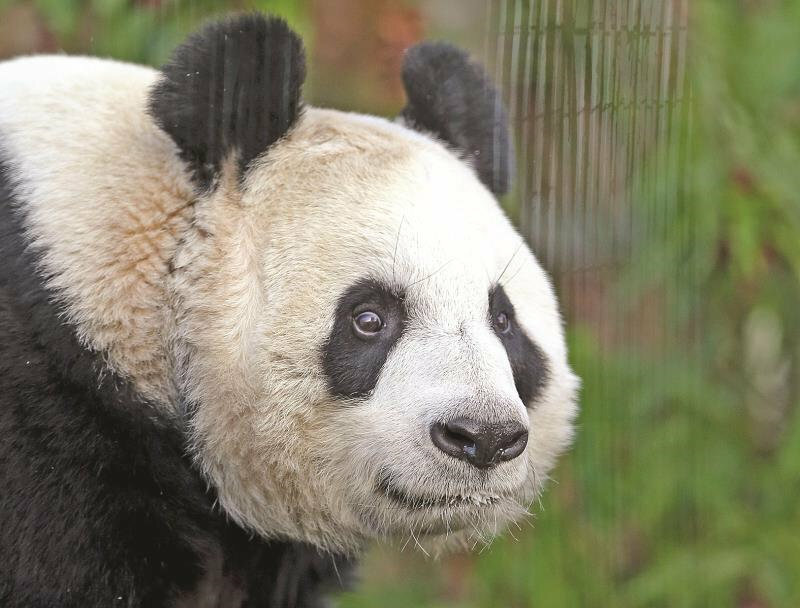 Tian Tian and her mate Yang Guang were brought to Scotland from Beijing Zoo in 2011. They are the only pandas in the UK. Tian Tian is thought to have been pregnant on several occasions, though she is yet to give birth to cubs. Yang Guang was castrated in November following a tumor scare, so artificial insemination is now Tian Tian's only viable route to pregnancy while she in Edinburgh. Breeding pandas in captivity is a notoriously tough endeavor. Females only ovulate once a year, and are only able to conceive for a few days. Sourcing pandas that are compatible is also a tricky business – many captive pairs show disinterest or incompetence when it comes to mating. Speculation over Tian Tian's pregnancy status often makes headlines in mainstream media in the UK, as the nation awaits its first baby pandas. Edinburgh Zoo announced the bear was pregnant in the summer of 2017, though a cub never materialized. Last year, the zoo temporarily suspended the panda breeding program in order to "further assess the incredibly complex and unpredictable breeding process". As things stand, the breeding program at Edinburgh will only run for a few more years. Beijing and Edinburgh zoos struck a deal that the pandas would stay in Scotland for 10 years for an annual fee of 600,000 pounds ($786,000). As part of the agreement, any resulting offspring would remain in Edinburgh. Beyond contributing to the conservation of the species, panda cubs would boost the economy, according to Scottish Enterprise. The business body speculates that the birth of a cub could generate 50 million pounds for Scotland, factoring in an increase in tourism, public interest and media attention. During the bears' first year in Edinburgh, the zoo saw its annual turnover increase by 5 million pounds. The zoo's income jumped 53 percent to almost 15 million pounds in 2012. Tian Tian and Yang Guang are two of 58 giant pandas living in captivity outside of China, according to China's National Forestry and Grassland Administration. There are 490 captive pandas in China. Last year, a record 48 panda cubs were born in captivity, with 45 surviving. One cub was born in captivity in Malaysia, one was born in Japan, and the rest were born in China. Conservation efforts have also seen wild panda numbers rebound, from 1,112 in 1990 to 1,864 pandas in 2014 when the last census was conducted.